Rice flour, gelatin, vegetable magnesium stearate and silicon dioxide. As a dietary supplement, take 3 capsules daily with water. For best results, light exercise and sensible diet are recommended. 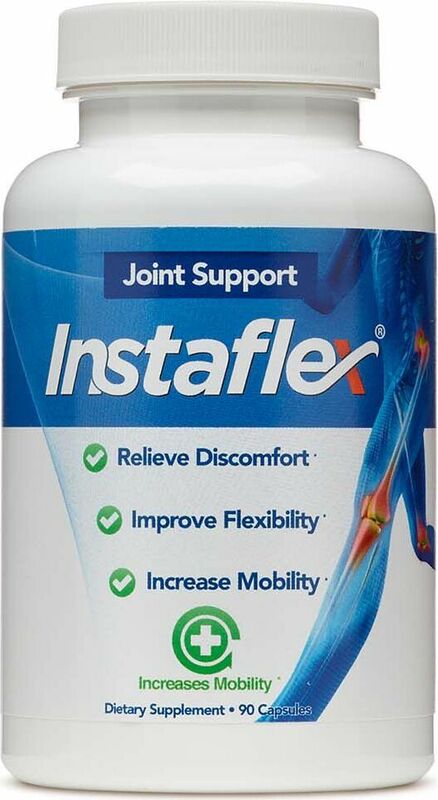 Instaflex Joint Support is a revolutionary joint health formula that has been scientifically formulated to help relieve stiff, achy joints and support cartilage repair. Featuring an exclusive compound of eight key ingredients that have been clinically tested for maximum effectiveness. Use Instaflex daily for happy, healthy, active lives.